No need of an introduction, Boys Noize has been featured in this column a handful of times and rightly so. Call him a survivor, he's one of the only artists from the 07 electro era that hasn't bent over to the commercial trash that now litters the headlining bills of this year's summer festivals. His sound has actually turned the opposite direction, embracing the stripped down elements of techno and the fluid grooves of house while still staying distinctly Ridha. This week saw the first single of his third LP surface on the internet, a catchy floor capsizer with a cheeky title. It might be more feasible to start calling him the saviour because "XTC" plays out like an authentic banger, and it makes you wonder if he'll ever stop making them. The overdriven bassline, the robotic hook, the synth squealing at the end of every bar, it's textbook electro that many have milked and imitated. But as a wise afro man once said, it ain't what you do it's how you do it. Expect more singles to come to a head as Out Of The Black hits the shelves in October. You knew it was coming, after releasing their second EP on the Turbo flagship the budding techno duo Gingy & Bordello pulled the cord on their follow up, the Iron & Water Remixes EP. In a way it bears a resemblance to the imprint's New Jack Techno compilation as fellow label mates Locked Groove and J Tijn are on remix duties while the curator's own neck of the woods makes some noise via Kevin McPhee and a mysterious newcomer Cicerio. The originals were slated as a canny set of warehouse tools and this round is no different. "Ausbruch" gets a dicey mix down as J Tijn takes an already tempered bass line and tosses it up on a whim to rain down on the track's erratic atmosphere. For those digging for the a la mode look no further than Kevin McPhee's pitch, taking the warehouse to the shore as his remix basks on the beach at the brink of a storm. Give everyone a hand for not straying too far away from their stems, it makes for a rigid package that lets the chromed sounds of the originals shine. 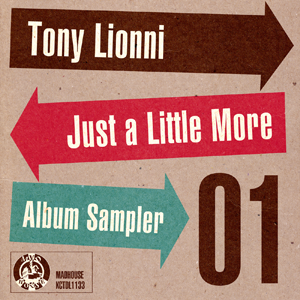 Berlin based Motor City aficionado Tony Lionni has passed the torch since day one, being part of a few producers that can churn out authentic deep house grooves that tip a hat to the past. It's why you'll only see his name on the most esteemed labels like Versatile, Wave, Ostgut Ton, and Kerri Chandler's stapled Madhouse Records. An imprint that was initially built to be a legend's playground, the label has racked a steady catalogue that traces itself back to 92. But Tony's record is a special one, being the first artist album for Madhouse the polished producer has a distinguished name to live up to. And judging by the first beat of the kick in "When 2 R In Love", track 01 in his forthcoming album sampler, the label couldn't pick a more impeccable act. Opening with the soothing waves of a 12 stage phaser, the track is bound to quench your four on the floor thirst. On the B-side "Just A Little More" dives into even greater depths with a gloomy pulse bassline and an electric lead to send this album sampler to the sky. When you hear bass and San Francisco you probably picture some knob that makes "grimey" dubstep beats, Kastle is anything but. He's above all the flavours of the week, combining the practically limitless canvas of garage with his passion for R&B, music with soul. A short and sweet description for his latest EP with London producer iO that just hit the shelves on his own label Symbols Recordings. The release is a bit of a split and pairing of the two as each feature their own original with two tracks as collaborations. It's interesting to hear what each artist brings to the table when they shake hands and when they're apart. iO on the grim and gloomy side while Kastle being the fiery one. 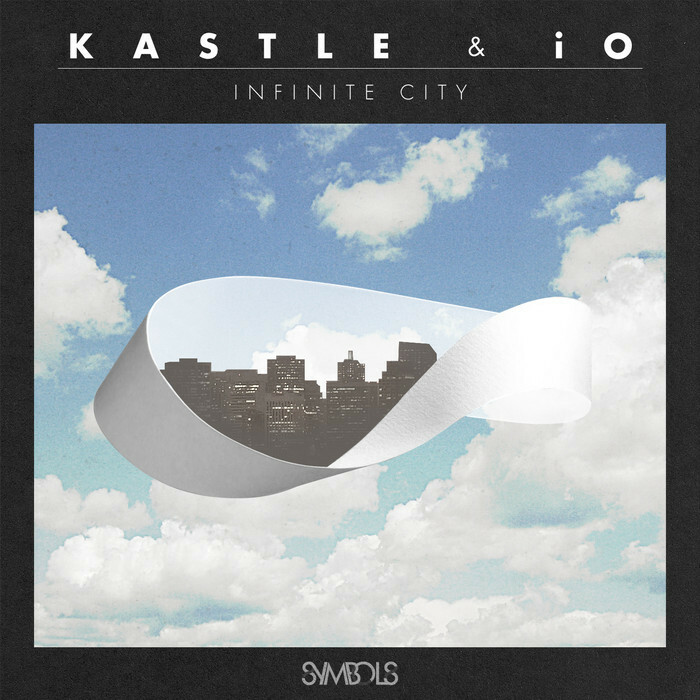 The title track "Infinite City" is more of a piano piece, opening with a pair of chords and a melancholy of oo's and ahh's key for garage tracks as of late. And as much as the tracks on this release experiment with the genre's unconventional atmospheres and drum rhythms, the sampled vocals put a bit of a pop gloss on all of it. In this case it's not bad at all because it's applied by the right hands. Based in New York but propped by Sheffield Tony Quattro is evidence that you don't need to put milk in your tea to make cutting-edge UK bass. Out On The Floor is his debute record on Bad Taste UK and he makes a grand entrance with four originals and a rooted remix package. Fresh names are on the list like Doctor Jeep, Lean Low, Walter Ego, and of course the gleaming Squarehead who has already pumped out his own fair share of UK funky hits. It's a lot to chew on, but make sure you chow down on the original bits as they garnish the whole spectrum of bass music from the crawly sounds of Joy Orbison in "Jack's Back" to the infatuated R&B vocals in "Doubt". The title track takes the tribal route while "Back Swipe" heads for Baltimore to toss some B-more chops on a stabby house jam. A shout out to Doctor Jeep for throwing a classic break on his drum laden remix for "Out On The Floor" which sums up this EP quite nicely. It's a crisp mix of retro sounds spread on some forward thinking ideas that gives this breaking artist a raw introduction.